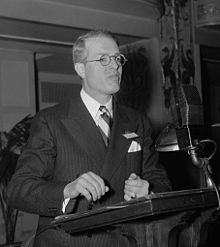 In 1947 Paul H. Appleby defined public administration as "public leadership of public affairs directly responsible for executive action". In a democracy, it has to do with such leadership and executive action in terms that respect and contribute to the dignity, the worth, and the potentials of the citizen. One year later, Gordon Clapp, then Chairman of the Tennessee Valley Authority defined public administration "as a public instrument whereby democratic society may be more completely realized." This implies that it must "relate itself to concepts of justice, liberty, and fuller economic opportunity for human beings" and is thus "concerned with "people, with ideas, and with things". 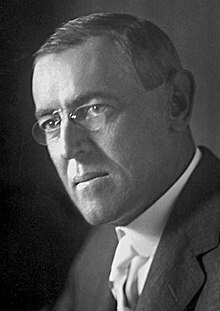 According to James D. Carroll & Alfred M. Zuck, the publication by "Woodrow Wilson of his essay, "The Study of Administration" in 1887 is generally regarded as the beginning of public administration as a specific field of study". Drawing on the democracy theme and discarding the link to the executive branch, Patricia M. Shields asserts that public administration "deals with the stewardship and implementation of the products of a living democracy". The key term "product" refers to "those items that are constructed or produced" such as prisons, roads, laws, schools, and security. "As implementors, public managers engage these products." They participate in the doing and making of the "living" democracy. A living democracy is "an environment that is changing, organic", imperfect, inconsistent and teaming with values. "Stewardship is emphasized because public administration is concerned "with accountability and effective use of scarce resources and ultimately making the connection between the doing, the making and democratic values". More recently scholars claim that "public administration has no generally accepted definition", because the "scope of the subject is so great and so debatable that it is easier to explain than define". Public administration is a field of study (i.e., a discipline) and an occupation. There is much disagreement about whether the study of public administration can properly be called a discipline, largely because of the debate over whether public administration is a subfield of political science or a subfield of administrative science", the latter an outgrowth of its roots in policy analysis and evaluation research. Scholar Donald Kettl is among those who view public administration "as a subfield within political science". According to Lalor a society with a public authority that provides at least one public good can be said to have a public administration whereas the absence of either (or a fortiori both) a public authority or the provision of at least one public good implies the absence of a public administration. He argues that public administration is the public provision of public goods in which the demand function is satisfied more or less effectively by politics, whose primary tool is rhetoric, providing for public goods, and the supply function is satisfied more or less efficiently by public management, whose primary tools are speech acts, producing public goods. The moral purpose of public administration, implicit in its acceptance of its role, is the maximization of the opportunities of the public to satisfy its wants. Dating back to Antiquity, Pharaohs, kings and emperors have required pages, treasurers, and tax collectors to administer the practical business of government. Prior to the 19th century, staffing of most public administrations was rife with nepotism, favouritism, and political patronage, which was often referred to as a "spoils system". Public administrators have long been the "eyes and ears" of rulers. In medieval times, the abilities to read and write, add and subtract were as dominated by the educated elite as public employment. Consequently, the need for expert civil servants whose ability to read and write formed the basis for developing expertise in such necessary activities as legal record-keeping, paying and feeding armies and levying taxes. As the European Imperialist age progressed and the militarily powers extended their hold over other continents and people, the need for a sophisticated public administration grew. The field of management may well be said to have originated in ancient China, including possibly the first highly centralized bureaucratic state, and the earliest (by the second century BC) example of an administration based on merit through testing. Far in advance of the rest of the world until almost the end of the 18th century, Sinologist Herrlee G. Creel and other scholars find the influence of Chinese administration in Europe by the 12th century, for example, in Fredrick II's promulgations, characterized as the "birth certificate of modern bureaucracy". By the 1920s, scholars of public administration had responded to Wilson's solicitation and thus textbooks in this field were introduced. A few distinguished scholars of that period were, Luther Gulick, Lyndall Urwick, Henri Fayol, Frederick Taylor, and others. Frederick Taylor (1856–1915), another prominent scholar in the field of administration and management also published a book entitled The Principles of Scientific Management (1911). He believed that scientific analysis would lead to the discovery of the "one best way" to do things or carrying out an operation. This, according to him could help save cost and time. Taylor's technique was later introduced to private industrialists, and later into the various government organizations (Jeong, 2007). Provide "detailed instruction and supervision of each worker in the performance of that worker's discrete task" (Montgomery 1997: 250). Luther Gulick and Lyndall Urwick are two second-generation scholars. Gulick, Urwick, and the new generation of administrators built on the work of contemporary behavioural, administrative, and organizational scholars including Henri Fayol, Fredrick Winslow Taylor, Paul Appleby, Frank Goodnow, and Willam Willoughby. The new generation of organizational theories no longer relied upon logical assumptions and generalizations about human nature like classical and enlightened theorists. Gulick developed a comprehensive, generic theory of organization that emphasized the scientific method, efficiency, professionalism, structural reform, and executive control. Gulick summarized the duties of administrators with an acronym; POSDCORB, which stands for planning, organizing, staffing, directing, coordinating, reporting, and budgeting. Fayol developed a systematic, 14-point treatment of private management. Second-generation theorists drew upon private management practices for administrative sciences. A single, generic management theory bleeding the borders between the private and the public sector was thought to be possible. With the general theory, the administrative theory could be focused on governmental organizations. The mid-1940s theorists challenged Wilson and Gulick. The politics-administration dichotomy remained the centre of criticism. During the 1950s, the United States experienced prolonged prosperity and solidified its place as a world leader. Public Administration experienced a kind of heyday due to the successful war effort and successful post war reconstruction in Western Europe and Japan. Government was popular as was President Eisenhower. In the 1960s and 1970s, government itself came under fire as ineffective, inefficient, and largely a wasted effort. The costly American intervention in Vietnam along with domestic scandals including the bugging of Democratic party headquarters (the 1974 Watergate scandal) are two examples of self-destructive government behaviour that alienated citizens. Concurrently, after World War II, the whole concept of public administration expanded to include policymaking and analysis, thus the study of "administrative policy making and analysis" was introduced and enhanced into the government decision-making bodies. Later on, the human factor became a predominant concern and emphasis in the study of public administration. This period witnessed the development and inclusion of other social sciences knowledge, predominantly, psychology, anthropology, and sociology, into the study of public administration (Jeong, 2007). Henceforth, the emergence of scholars such as, Fritz Morstein Marx with his book The Elements of Public Administration (1946), Paul H. Appleby Policy and Administration (1952), Frank Marini 'Towards a New Public Administration' (1971), and others that have contributed positively in these endeavors. In the mid-1980s, the goal of community programs in the United States was often represented by terms such as independent living, community integration, inclusion, community participation, deinstitutionalization, and civil rights. Thus, the same public policy (and public administration) was to apply to all citizens, inclusive of disability. However, by the 1990s, categorical state systems were strengthened in the United States (Racino, in press, 2014), and efforts were made to introduce more disability content into the public policy curricula with disability public policy (and administration) distinct fields in their own right. Behaviorists have also dominated "intervention practice" (generally not the province of public administration) in recent years, believing that they are in opposition to generic public policy (termed ecological systems theory, of the late Urie Bronfenbrenner). Increasingly, public policy academics and practitioners have utilized the theoretical concepts of political economy to explain policy outcomes such as the success or failure of reform efforts or the persistence of suboptimal outcomes. The bureau-shaping model, a modification of Niskanen, holds that rational bureaucrats only maximize the part of their budget that they spend on their own agency's operations or give to contractors and interest groups. Groups that are able to organize a "flowback" of benefits to senior officials would, according to this theory, receive increased budgetary attention. For instance, rational officials will get no benefit from paying out larger welfare checks to millions of low-income citizens because this does not serve a bureaucrats' goals. Accordingly, one might instead expect a jurisdiction to seek budget increases for defense and security purposes in place programming. If we refer back to Reagan once again, Dunleavy's bureau shaping model accounts for the alleged decrease in the "size" of government while spending did not, in fact, decrease. Domestic entitlement programming was financially deemphasized for military research and personnel. The goals of the field of public administration are related to the democratic values of improving equality, justice, security, efficiency and effectiveness of public services in a non-profit venue; business administration, on the other hand, is primarily concerned with expanding market share, generating revenue and earning profit. For a field built on concepts (accountability, governance, decentralization and clientele), these concepts are often ill-defined and typologies often ignore certain aspects of these concepts. One public administration scholar, Donald Kettl, argues that "public administration sits in a disciplinary backwater", because "for the last generation, scholars have sought to save or replace it with fields of study like implementation, public management, and formal bureaucratic theory". Kettl states that "public administration, as a subfield within political science...is struggling to define its role within the discipline". He notes two problems with public administration: it "has seemed methodologically to lag behind" and "the field's theoretical work too often seems not to define it"-indeed, "some of the most interesting recent ideas in public administration have come from outside the field". Comparative public administration or CPA is defined as the study of administrative systems in a comparative fashion or the study of public administration in other countries. There have been several issues which have hampered the development of comparative public administration, including: the major differences between Western countries and developing countries; the lack of curriculum on this sub-field in public administration programs; and the lack of success in developing theoretical models which can be scientifically tested. Even though CPA is a weakly formed field as a whole, this sub-field of public administration is an attempt at cross-cultural analysis, a "quest for patterns and regularities of administrative action and behavior." CPA is an integral part to the analysis of public administration techniques. The process of comparison allows for more widely applicable policies to be tested in a variety of situations. Comparative public administration emerged during the post-World War II period in order to seek international developmental strategies which aided in the containment of communism during the Cold War. (Riggs 1954, Heady 1960) The developers of this field expanded on a general theory, a research agenda, and generalized "lessons learned". (Riggs 1954, Heady 1960) A prominent figure of Public Administration, Woodrow Wilson, commented on the study by saying, "Like principles of civil liberty are everywhere fostering like methods of government; and if comparative studies of the ways and means of government should enable us to offer suggestions which will practicably combine openness and vigor in the administration of such governments with ready docility to all serious, well-sustained public criticism, they will have approved themselves worthy to be ranked among the highest and most fruitful of the great departments of political study". As the financial state of the powering countries began to stabilize toward the decline of the Cold War, the field of CPA began to diminish. The resulting decline caused the lack of further expansion of this study making it irrelevant. Comparative public administration lacks curriculum, which has prevented it from becoming a major field of study. This lack of understanding of the basic concepts that build this field's foundation has ultimately led to its lack of use. For example, William Waugh, a professor at Georgia State University has stated "Comparative studies are difficult because of the necessity to provide enough information on the sociopolitical context of national administrative structures and processes for readers to understand why there are differences and similarities." He also asserts, "Although there is sizable literature on comparative public administration it is scattered and dated." This grassroots demand may have come from the comparative knowledge that concluded "In the United States, residential and commercial buildings combined now use 71% of all electricity produced and account for 79% of all electricity expenditures. Annual CO2 emission attributed to electricity consumption in these U.S. buildings constitute 43% of the country's annual total CO2 emission, which is approximately equivalent to the total CO2 emission of Japan, France, and the United Kingdom combined. These levels support the claim of the Intergovernmental Panel on Climate Change that energy use in buildings offer more potential for reducing carbon emission than any other single sector in the United States and abroad.". This example compares CO2 emission in the United States to other countries and through the buildings sector; the US could cut down on CO2 emission. The field of comparative public administration is often misunderstood for the definition itself is complex and requires layers of understanding. The field will require many more years of collaborative research before it becomes a widely recognized academic study. Some public administration programs have similarities to business administration programs, in cases where the students from both the Master's in Public Administration (MPA) and Master's in Business Administration (MBA) programs take many of the same courses. In some programs, the MPA (or MAPA) is more clearly distinct from the MBA, in that the MPA often emphasizes substantially different ethical and sociological criteria that pertain to administering government programs for the public good that have not been key criteria for business managers, who typically aim to maximize profit or share price. There are two types of doctoral degrees in public administration: the Doctor of Public Administration (DPA) and the Ph.D. in public administration. The DPA is an applied-research doctoral degree in the field of public administration, focusing on the practice of public administration more than on its theoretical aspects. The DPA requires coursework beyond the Masters level and a thesis, dissertation or other doctoral project. Upon successful completion of the doctoral requirements, the title of "Doctor" is awarded and the post-nominals of D.P.A. can be used. Some universities use the Ph.D. as their doctoral degree in public administration (e.g., Carleton University in Ottawa, Canada, and the University Of Kerala in India). The Ph.D. is typically sought by individuals aiming to become professors of public administration or researchers. Individuals pursuing a Ph.D. in public administration often pursue more theoretical dissertation topics than their DPA counterparts. Eastern Regional Organization for Public Administration (EROPA) is a state-membership based organization, open to other organizations and individuals, headquartered in The Philippines with centres and membership organized around the Asia Pacific region. EROPA organizes annual conferences, and publishes a journal Asian Review of Public Administration (ARPA). It has a number of centres in the region, and assists in networking experts with its members. "Public management" is an approach to government administration and non-profit administration that resembles or draws on private-sector management and business techniques and approaches. These business approaches often aim to maximize efficiency and effectiveness and provide improved customer service. A contrast is drawn with the study of public administration, which emphasizes the social and cultural drivers of government that many contend (e.g., Graham T. Allison and Charles Goodsell) makes it different from the private sector. Studying and teaching about public management are widely practiced in developed nations. In the UK, Newcastle Business School, Warwick Business School, the London School of Economics, University College London, the UK local democracy project and London Health Observatory. In France, the École nationale d'administration, the Sciences Po School of Public Affairs, the INET, National Institute of Territorial Studies, and the IMPGT [fr], Institute of Public Management and Territorial Governance in Aix-en-Provence, Aix-Marseille University. ^ "Random House Unabridged Dictionary". Dictionary.infoplease.com. Retrieved 2014-08-23. ^ Robert and Janet Denhardt. Public Administration: An Action Orientation. 6th Ed. 2009: Thomson Wadsworth, Belmont CA. ^ a b Kettl, Donald and James Fessler. 2009. The Politics of the Administrative Process. Washington D.C.: CQ Press. ^ a b Wilson, Woodrow. June, 1887. "The Study of Administration", Political Science Quarterly 2. ^ Public administration. (2010) In Encyclopædia Britannica. Retrieved August 18, 2010, from Encyclopædia Britannica Online. ^ a b Shafritz, J.M., A.C. Hyde. 2007. Classics of Public Administration. Wadsworth: Boston. ^ "Electronic Records and Document Management Systems: A New Tool for Enhancing the Public's Right to Access Government-Held Information?" (PDF). Retrieved 2017-04-29. ^ Appleby, Paul 1947. "Toward Better Public Administration", Public Administration Review Vol. 7, No. 2 pp. 93–99. ^ Clapp, Gordon. 1948. "Public Administration in an Advancing South", Public Administration Review Vol. 8. no. 2 pp. 169–75. Clapp attributed part of this definition to Charles Beard. ^ Carroll, J.D. & Zuck, A.M. (1983). "The Study of Public Administration Revisited". A Report of the Centennial Agendas project of the American Society for Public Administration. Washington, DC; American Society for Public Administration. ^ Shields, Patricia. 1998. "Pragmatism as a Philosophy of Science: A Tool for Public Administration" Research in Public Administration Vol. 4. pp. 195–225. ^ Shields, Patricia. 1998. "Pragmatism as a Philosophy of Science: A Tool for Public Administration", Research in Public Administration Vol. 4. p. 199. ^ a b "Public Administration | the Canadian Encyclopedia". Archived from the original on March 28, 2017. Retrieved March 13, 2018. ^ Haveman, R. H. (1987). Policy analysis and evaluation research after twenty years. "Policy Studies Journal", 16(1): 191–218. ^ a b c d Kettl, Donald F. "The Future of Public Administration" (PDF). H-net.org. Retrieved October 25, 2010. ^ "Definition Public Administration (NAICS 91)". Ic.gc.ca. Retrieved October 25, 2010. ^ "CIP user site". Nces.ed.gov. Retrieved 2014-08-23. ^ Ewan Ferlie, Laurence E. Lynn, Christopher Pollitt (2005) The Oxford Handbook of Public Management, p.30. ^ Kazin, Edwards, and Rothman (2010), 142. One of the oldest examples of a merit-based civil service system existed' in the imperial bureaucracy of China. Tan, Chung; Geng, Yinzheng (2005). India and China: twenty centuries of civilization interaction and vibrations. University of Michigan Press. p. 128. China not only produced the world's first "bureaucracy", but also the world's first "meritocracy"
^ Herrlee G. Creel, 1974 p.119. "Shen Pu-Hai: A Secular Philosopher of Administration", Journal of Chinese Philosophy Volume 1. ^ Otto B. Van der Sprenkel, "Max Weber on China", History and Theory 3 (1964), 357. ^ Ryan, M., Mejia, B., and Georgiev, M. (Ed). 2010. AM Gov 2010. McGraw Hill: New York. ^ "Our Web Site Has Moved!". Aspanet.org. Archived from the original on 2011-12-03. Retrieved 2014-08-23. ^ Elmore, Richard F. (1986). "Graduate education in public management: working the seams of government". Journal of Policy Analysis and Management. 6 (1): 69–83. doi:10.1002/pam.4050060107. ^ Margetts, Helen; Dunleavy, Patrick; Bastow, Simon; Tinkler, Jane (July 2006). "New public management is dead – long live digital-era governance". Journal of Public Administration Research and Theory. 16 (3): 467–94. doi:10.1093/jopart/mui057. ^ Diane Stone, (2008) "Global Public Policy, Transnational Policy Communities and their Networks", Journal of Policy Sciences. ^ Denhardt, Robert B.; Vinzant Denhardt, Janet (November–December 2000). "The new public service: serving rather than steering". Public Administration Review. 60 (6): 549–59. doi:10.1111/0033-3352.00117. JSTOR 977437. ^ Aucoin, Peter (2008). "New Public Management and the Quality of Government: Coping with the New Political Governance in Canada", Conference on New Public Management and the Quality of Government, SOG and the Quality of Government Institute, University of Gothenburg, Sweden, 13–15 November 2008, p. 14. ^ Elmore, Richard F.; Watson, Sara; Pfeiffer, David (1992). "A case for including disability policy issues in public policy curricula". Journal of Policy Analysis and Management (Curriculum and Case Notes). 11 (1): 167–73. doi:10.2307/3325146. JSTOR 3325146. ^ Zola, Irving K. (1993), "Introduction", in Brown, Susan T., An Independent Living Approach to Disability Policy Studies, Berkeley, CA: Research and Training Center on Public Policy And Independent Living, World Institute on Disability, OCLC 36404707. ^ Racino, Julie A. (2015). Public administration and disability community services administration in the US. Boca Raton: CRC Press. ISBN 9781466579828. ^ Corduneanu-Huci, Cristina; Hamilton, Alexander; Masses Ferrer, Issel (2012). Understanding Policy Change: How to Apply Political Economy Concepts in Practice. Washington DC. : The World Bank. ^ Jreisat, Jamil E. (2005-03-01). "Comparative Public Administration Is Back In, Prudently". Public Administration Review. 65 (2): 231–42. doi:10.1111/j.1540-6210.2005.00447.x. ISSN 1540-6210. ^ "American Founders | The Heritage Foundation". Heritage.org. 2013-07-08. Archived from the original on 2017-01-12. Retrieved 2017-04-29. ^ a b c "Off Campus Database Authentication". search.proquest.com. Retrieved 2016-04-13. ^ "Off Campus Database Authentication". search.proquest.com. Retrieved 2016-04-13. ^ a b "Off Campus Database Authentication". search.proquest.com. Retrieved 2016-04-13. ^ "NASPAA International Web Portal". Globalmpa.net. Archived from the original on 2014-05-17. Retrieved 2014-08-23. ^ "CLAD". CLAD. 2007-08-29. Retrieved 2017-04-29. ^ Studio, Floyd; Andruch, Ján. "Homepage – NISPAcee Information Portal". nispa.sk. ^ "APSA – American Political Science Association". Apsanet.org. Retrieved 2014-08-23. ^ "Eastern Regional Organization for Public Administration". 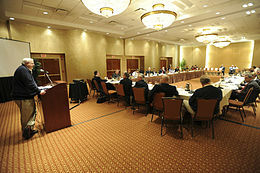 Eastern Regional Organization for Public Administration. Retrieved 17 April 2017. ^ "Home". Mancosa. Retrieved 2017-04-29. ^ "Indian Institute Of Public Administration – Home". Iipa.org.in. Retrieved 2014-08-23. Kirchwey, George W. (1905). "Civil Administration" . In Gilman, D. C.; Peck, H. T.; Colby, F. M. New International Encyclopedia (1st ed.). New York: Dodd, Mead.